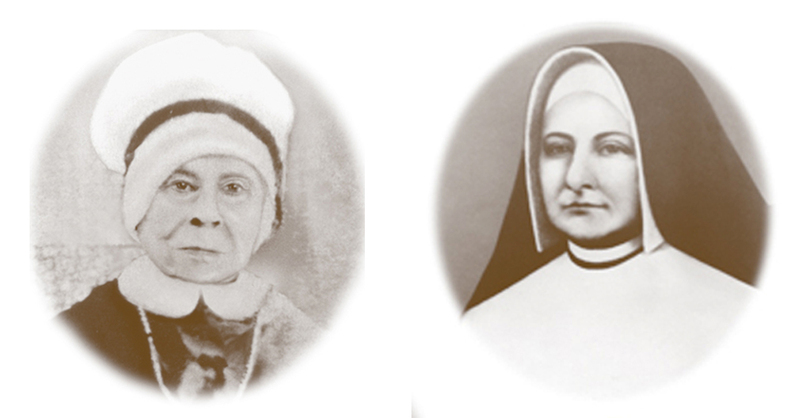 Mother Mary Lange (left) and Mother Theresa Maxis (right) each founded religious congregations for women. As part of its response to “Open Wide Our Hearts,” the U.S. bishops’ pastoral letter on racism, the archdiocesan Office for Black Catholics will offer a seminar on two women of color who founded religious orders. The workshop will take place on Feb. 12 at the St. John Neumann Center, located at 1032 Lawrence Street in Philadelphia. The program will highlight the work of Mother Mary Lange and Mother Theresa Maxis. The day is open to all female high school students, particularly those currently in leadership roles among their schools’ sophomore, junior and senior classes. The event is being co-sponsored by the Sisters, Servants of the Immaculate Heart of Mary and the Oblate Sisters of Providence. The deadline for registration is Monday, Jan. 28. Lunch will be provided for all students and chaperones. For information, contact Father Richard N. Owens, O.F.M.Cap., director of the Office for Black Catholics, at 215-587-3541 or fr.rowens@archphila.org.